Whether you have a window air conditioner or central air conditioning, it is frustrating when your unit ices up and stops working. It is a common issue in air conditioner repair, and it occurs when the system inside the air conditioner becomes unbalanced, with the evaporator coil receiving more cool air than it should. Here is a look at common causes of these system imbalances. When is the last time you changed the air filter? If it’s been at least a few months, then accumulated debris on the filter may well be blocking air flow. As a result, condensed water on the evaporator coil is more likely to freeze. Change your air filter about every two to three months, and schedule air conditioner maintenance at least once a year. In older systems, it is common for Freon or other coolants to leak. While you can opt for more coolant to be placed in your system, it is still leaking, and your air conditioner unit could freeze again very soon. Many homeowners instead opt to get a new air conditioning system. The ice on your air conditioner may be from the ductwork. For example, there could be kinks, leaks or disconnected parts. Be careful inspecting ductwork, especially if you go into an attic without secure flooring. If the ductwork seems fine, then your air ducts may be extremely dirty. Contact an air conditioner repair service to see if your ducts need to be cleaned or if they should be replaced. Ice on your air conditioner has the potential to reduce the long-term effectiveness of your unit. If you notice ice, turn off your air conditioner, and check for potential culprits. 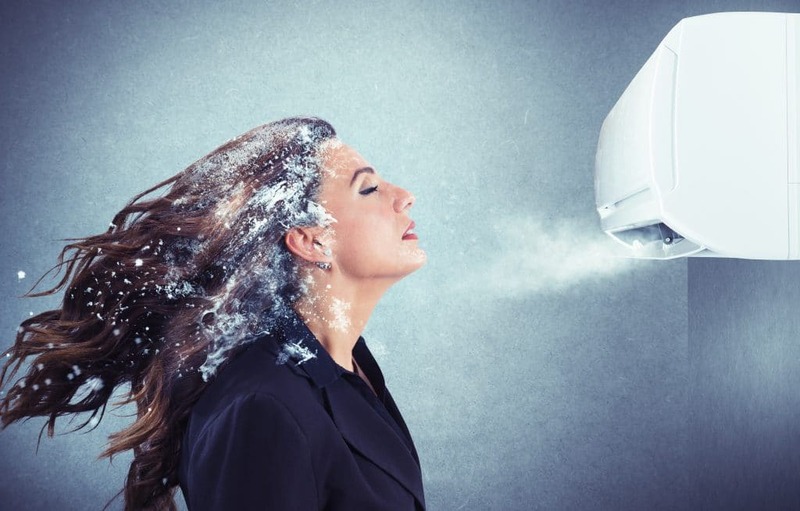 Air conditioner repair companies can also help; it is possible the ice is caused by low pressure and low levels of coolant, and that is something a HVAC technician needs to address. When your home AC system breaks down or stops working entirely, it is important to have a company you can trust to replace your heating system quickly, reliably and affordably. Action Heating & Air delivers high quality, professional air conditioner replacement services — 7 days a week to homeowners throughout Bucks County, Doylestown, Yardley, Langhorne, Burlington County, Hunterdon County, Mercer County and Ocean County, NJ. We have been delivering high quality air conditioning repair and air conditioner replacements to your neighbors since 1967. Contact us today to talk to a live customer service representative and we can dispatch a heating system technician to your home shortly – chances are, one of our technicians may already be in your neighborhood!